Prototype: Five different design German Railroad, Inc. (DB AG) passenger cars. Two type Bvmkz 810 passenger cars, two type Bpmz 811 passenger cars, and one type WRmz 137 dining car. 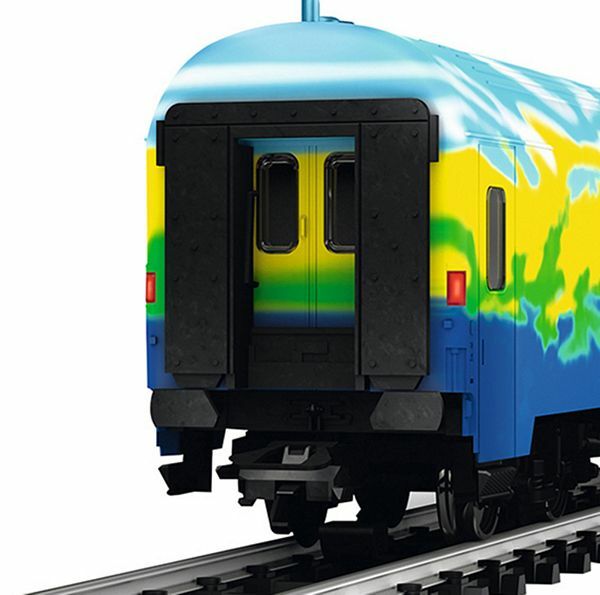 Version with “Tourism Train” paint scheme. The cars look as they did in 1995. Model: All of the cars have underbodies specific to the car types. Both of the type Bvmkz 810 cars have Fiat type Y0270 S trucks with lateral motion shock absorbers. Both of the type Bpmz 811 cars have type MD trucks without generators. The trucks on the dining car have disk brakes, mag - netic rail brakes, and lateral motion shock absorbers. The pressure-proof cars have construction features such as SIG diaphragms, entry doors, and windows. All of the cars have factory-installed LED interior lighting. The cars also have current-conducting operating couplers. One car has built-in marker lights. Total length over the buffers approximately 142 cm / 55-7/8“. 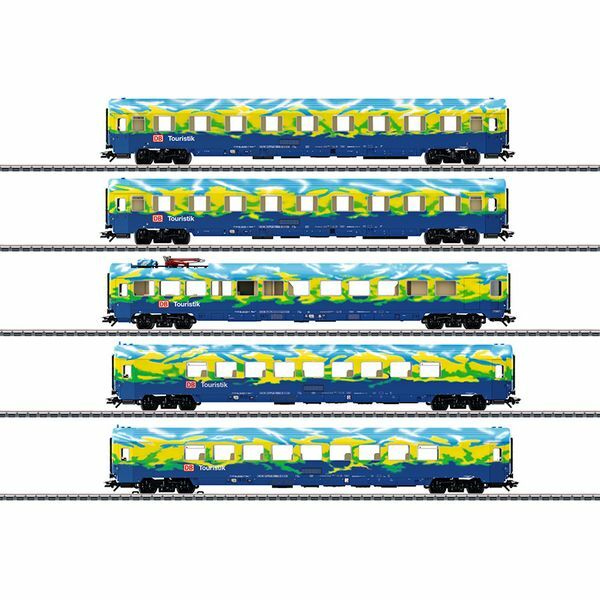 The class 218 diesel locomotives to go with this car set are offered under item numbers 39218 and 39219 exclusively for the MHI.